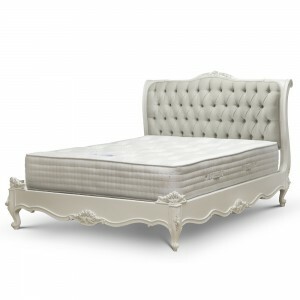 A stunning contemporary addition to any bedroom with gorgeous button back linen fabric covering the whole bedframe. Blend this piece with contemporary or traditional French style furniture for an elegant and glamorous appearance in any home. Note: This item may require assembly upon delivery at an additional charge, please enquire with our sales team.